Aside from contemporary garment designs and eccentric sneaker drops, Gucci, for years has unveiled quirky accessory items, seen recently in its padlock-style clock and red tiger head watch. The high-end fashion house adds yet another uniquely-themed item to its ever-growing accessory lineup. 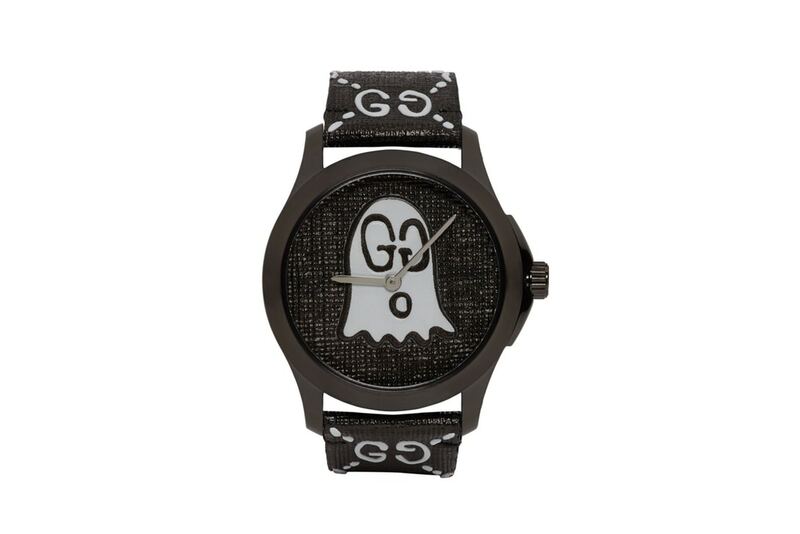 The Black G-Timeless GucciGhost Watch is crafted from PVD-coated stainless steel — highlighting a barrage of notable features, including a sapphire crystal lens, Ronda quartz movement, ghost graphic on the face, water resistant up to 50 meters, textured leather straps complete with patterned emblems and much more. 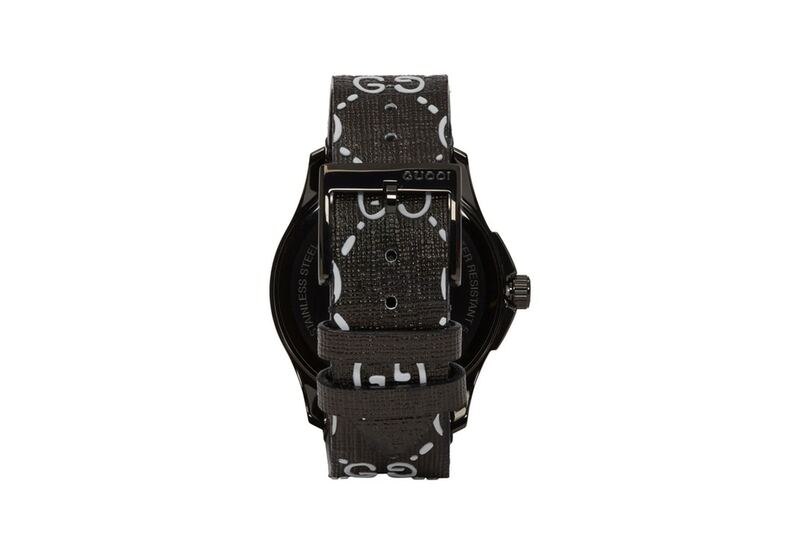 Gucci’s GucciGhost watch is available now at such retailers as SSENSE for a price of $1,190 CAD (approximately $932 USD).